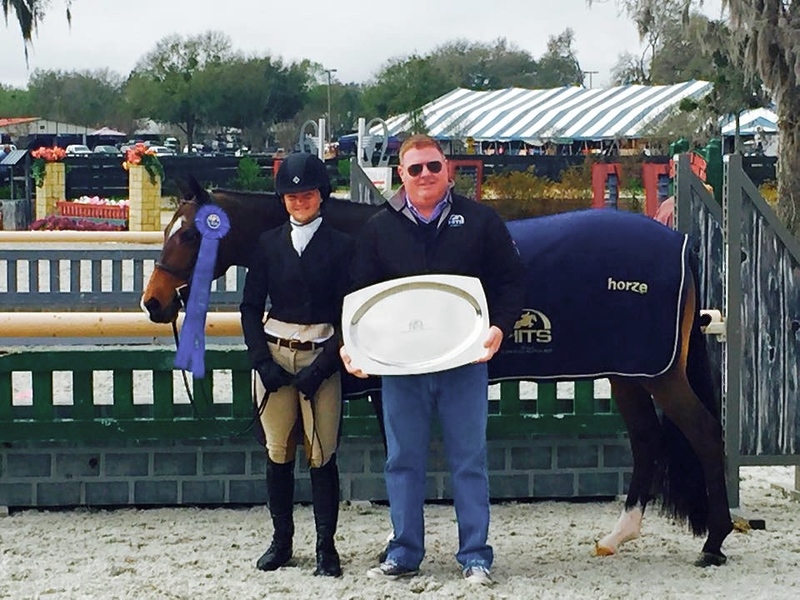 Hampshire, IL – March 30, 2015 – As the winter circuits are wrapping up and horse trailers are heading north back to various hometowns, Canterbury Farm, Hampshire, IL, takes a look back at their accomplishments during the HITS Ocala Circuit 2015. Their riders were given great experiences with their horses and not to forget, a chance to escape the Chicago winter, even if only one weekend at a time. Caitlyn Shiels and Dare to Dance took the Circuit Championship in the Level 3 Jumpers. Photo ESI Photography. 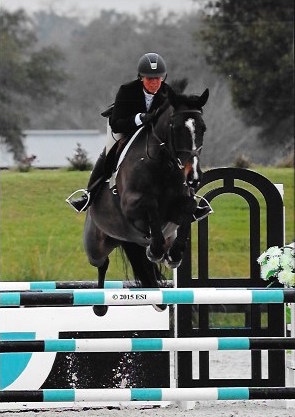 Customer Janet Walker’s horse, Dare to Dance, bought home the Circuit Championship in the Level 3 Jumpers. The seven-year-old Danish Warmblood mare collected a Championship week one, a Reserve Championship week four, and a Championship again weeks eight and ten. Katherine Heywood and her Canadian Warmblood, Big Bill, started the circuit out strong with a win in the $1,500 Medium Child/Adult Jumper Classic week one, and a third place finish week three. The pair proved to be consistent in the medium adult jumpers throughout the circuit. Katherine Heywood and her new mount Ensor Van't Molsbroek. 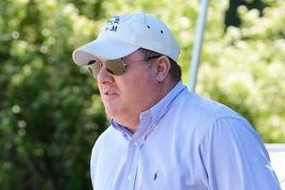 Heywood purchased a new mount while down at HITS, Ensor Van't Molsbroek, with the plan to move into the Amateur Owner jumpers this year. Natalie Alden and her horse MTM UP2U began the season with some great performances. Alden showed the horse in both the Modified Children’s Hunter division and the Children’s Hunter division and brought home some great ribbons to show for their efforts. Shiels showed the horse in week three, winning the championship in the Low Hunters with two blues, a second and a sixth over fences and second in the under saddle. Kadence Darco, owned by Margo Lyons, kicked off the season with a great week three, making her debut in the Training Hunters with a win over fences. Kadence Darco is a five-year-old Belgian Warmblood mare by Darco. 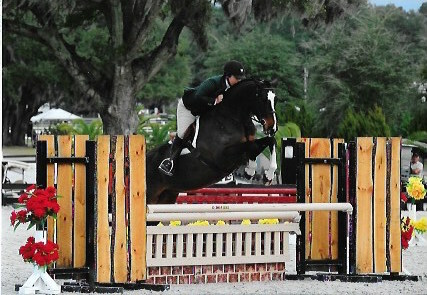 She is a lovely mover and an excellent jumper, ready for the Pre-Green Hunter division in 2015 and is available for purchase. Michelle Durpetti of Chicago and her horse, Moody Blues, had a solid week one, with great ribbons in the adult equitation and medals. 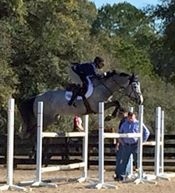 Moody Blues and Durpetti went on to more success in week two, showing for the first time together in the Amateur-Owner Hunters, winning their first class and finishing strong in the division with a fourth place finish in the Amateur-Owner Classic. Durpetti and her other mount, Kenya, had success in the 3'3” Amateur Owner hunters, including two wins over fences and a 5th place finish in the Amateur Owner Classic. Durpetti would like to congratulate Sheree Holliday and Boulder Brook Equestrian Center in Scarsdale, NY on the purchase of her horse, Small Enchantment. Canterbury Farm wishes the new pair much success in the show ring. 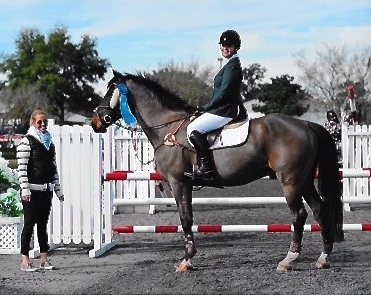 Marcia Franklin’s Cydelle showed in the Low Hunters with Shiels resulting in a Reserve Championship in week six. 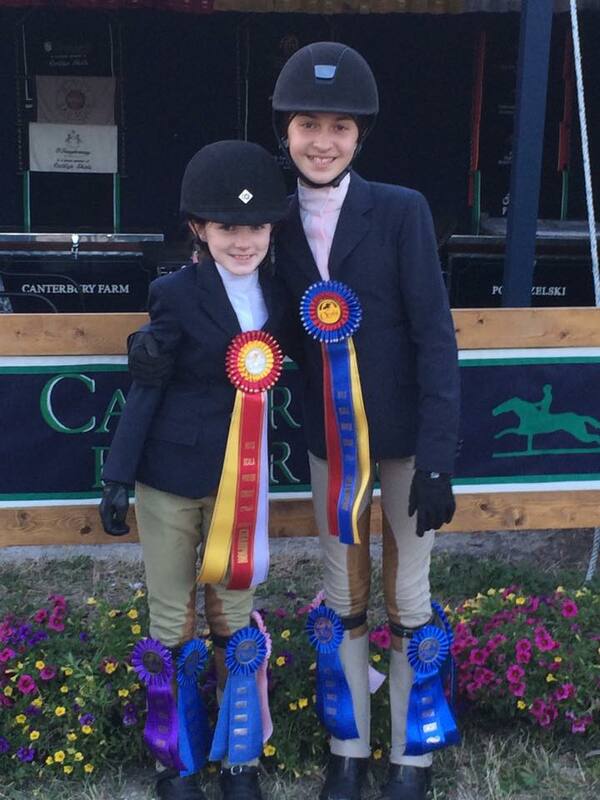 Maddeline Pogorzelski showed Cydelle in the Post Time Children's Hunters division and was Champion week five and six. Molly Zygmont and Maddeline Pogorzelski display their awards. Molly Zygmont, Franklin's niece, along with her pony, Pumpkin Pie, made their debut in the Short Stirrup Hunters and was Reserve Champion week five and won a Short Stirrup Equitation class week six. Theresa Tolar and Greg Franklin with Hillcrest Songbird. 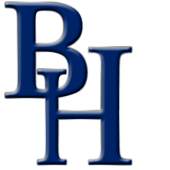 Canterbury's Hillcrest Songbird won the $5,000 Pony Hunter Prix week seven with scores of 87 and 87.5. “The pony is a beautiful mover with a beautiful jump,” said Franklin. “ She’s a consistent winner at horse shows all over the country and has proven time and time again that she is the one to beat. She has a great brain, huge stride, and is as patient with a novice child as she is with a seasoned pony rider." 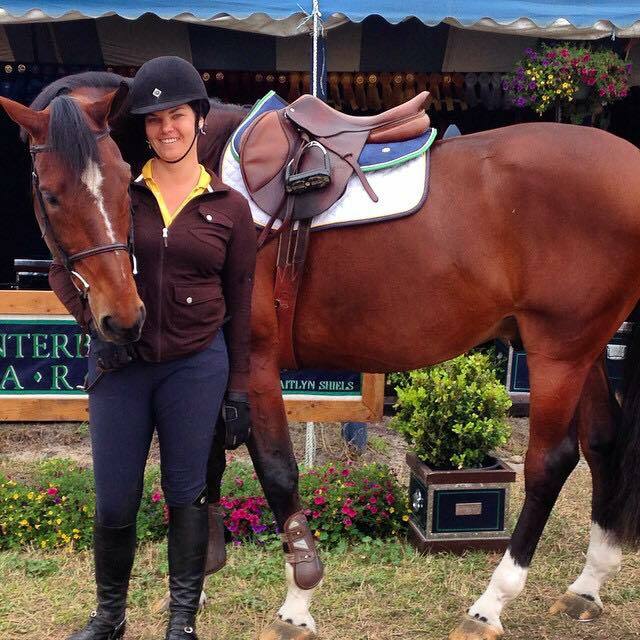 Congratulations to Allison MacDonald of Toronto, who will be leasing Hillcrest Songbird for the 2015 season. Rider Shiels had a great few weeks showing her young jumper, Cavalier II, in the Level 3 Jumpers in week one and moved up to Level 5 in week two. Over the next few weeks, they won ribbons jumping double clean while moving seamlessly into the level six. Shiels purchased the horse from Europe two years ago as a 6-year-old. "He has really matured over the last year, and it is so great to be in the ring with him now,” said Shiels. “The jumps were never a problem for him, but all of the flatwork and foundation work has really helped him become such a well rounded, fast, super athletic horse. I am thrilled with his progress and eager to see where it leads us this summer!" Canterbury Farm will spend some time showing in the Chicago area including the Showplace Spring Spectacular Series and then on to Traverse City. 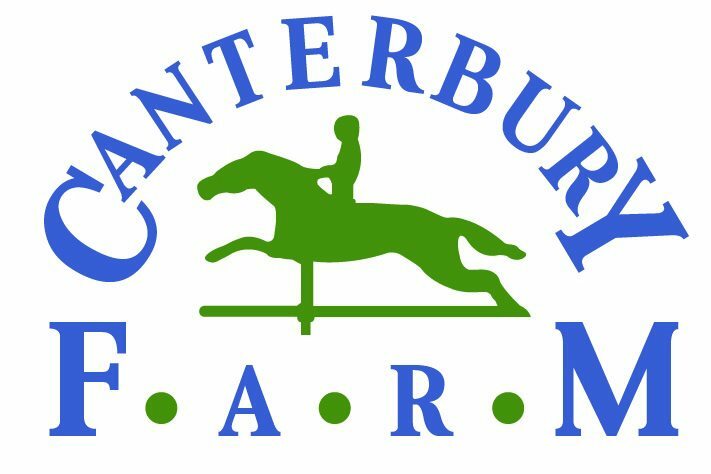 For more information on Canterbury Farm, please visit their website at www.canterburyfarmchicago.com.